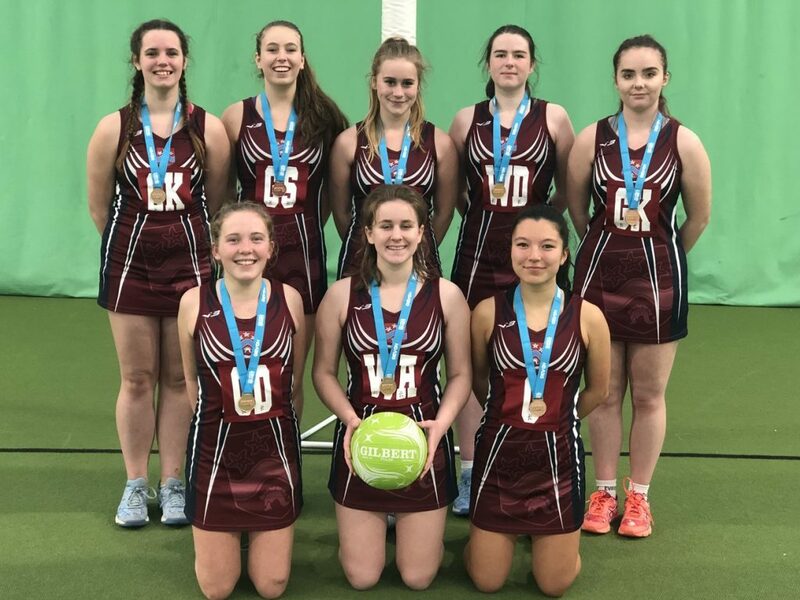 U18 Girls Netball – Third in Devon! The U18 netball girls competed in the National Schools tournament on the 13th of November at Exeter University. Charlotte Haigh, Team Coach, hugely supported the team; advising positions and set plays. The team was selected based on consistent and impressive ability in netball and regular attendance to training. This was a group event in which 7 other teams from all parts of Devon who qualified for tournament, played. In review, the whole team played incredibly well especially considering we only had 8 players. Great support from the defensive players all the way up court and huge versatility shown by Beth Thomas, Fran Andrews and Charley Warren. Excellent feeding from the centre court players and some superb interceptions and turnovers all round congrats to Lina Okihara and Emily Criddle for showing versatility and consistency throughout. Lastly, brilliant movement from the shooters Phoebe de Selincourt and Lucy Criddle alongside very consistent shots to goal! A very positive day ending 3rd in Devon, narrowly missing out on qualification by one point!